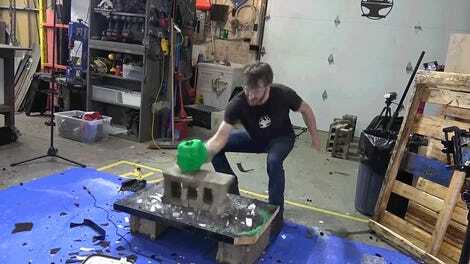 After realizing they had an unfair advantage during Nerf battles over a competitor who was missing a hand, the tinkerers at Hackerloop decided to level the battlefield by building Nicholas Huchet a custom Nerf blaster prosthetic that can be automatically fired whenever he contracts his forearm muscles. In a Medium post, Hackerloop’s Valentin Squirelo thoroughly documented the build, which used a combination of custom 3D-printed parts, Arduino-like electronics, a couple of electromyography sensors to detect muscle movements, and a pair of Nerf Swarmfire blasters whose round design made them perfect for this hack—although hunting them down was apparently the hardest part of building the prosthetic. A lot of the time, custom builds like this end up looking a little thrown together as the creators are more concerned with whether or not they can actually pull it off. 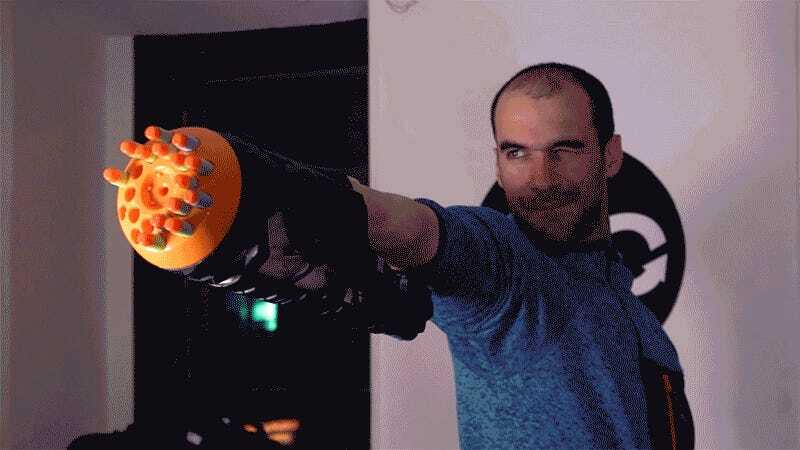 But the custom 3D-printed sheath and casing created for this prosthetic not only look like something out of a Mega Man game, they also help to hide all of the underlying electronics and mechanics, which, you don’t actually want exposed to flying darts in the heat of battle.